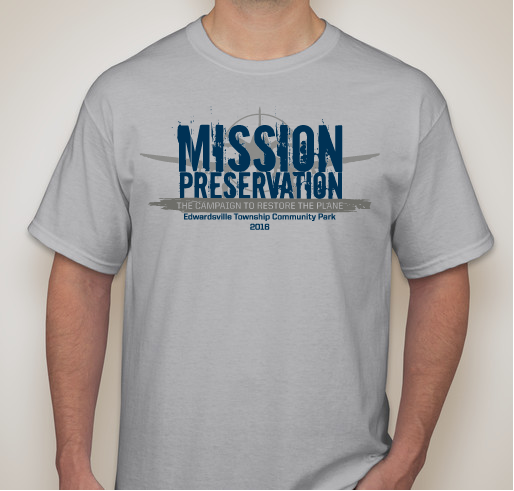 Visit our Booster site to make a donation or purchase a t-shirt to support Mission Preservation: The Campaign to Restore the Plane! Since the plane has been on display at Edwardsville Township Community Park for over 20 years, it is beginning to show signs of being exposed to the weather conditions of our area. Now, we need your help to achieve the restorations needed to the US Navy A-7E Corsair II! Shirts come in both youth and adult sizes. Available in grey, light blue, white, light pink, yellow, and safety green.